A-raoir bha oidhche mhath ga rireamh againn, cruinneachadh againn le orain,seanchasan agus ceol Gaidhlig,anns Na Gearranann. A-raoir bha truir oganaich nar cois a' seinn agus a cluich. Thainig iad len toil fhein. Thaining boireannach aig aois 90 as Na Hearadh ga Na Gearrannan cuideachd. 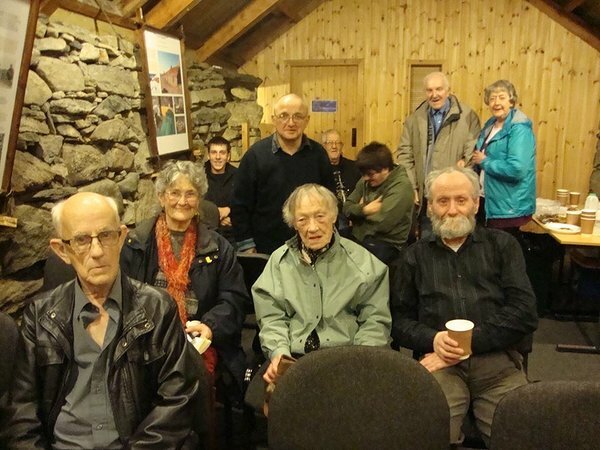 Sin an oidhche 'intergenerational'/iomadh ginealach is docha, a bha againn. Agus bha e gu tur sa Ghaidhlig a thoirt cothrom dhuinn a bhith cruthachail nar ciad chanan. Ach caite a bheil seo a futadh plana Gaidhlig nan Eilean an Iar? Chan eil fhios agam co thige a chuireas mi fios airson faighneachd an toir iad dhuinn cuideachadh le sanasachd son an ath oidhche a bhios ann. Tha buidheann saor thoileach againn a tha deonach coinneachadh uair anns a' mhios, ann an coimhearsnachd sam bith a chuireas fiathchadh thugainn. Co a' coimhearsnachd anns na h-Eileannan a tha ag iarraidh Ceilidh na Gaidhlig an ath mhios?